Emma Parsons – Click to calm; Talking aggressive & reactive dogs. Emma Parsons is currently a Canine Behavior Training Consultant for Surefire Dogs in Westborough, MA as well as owning her own business. She specializes in managing and rehabilitating the reactive and aggressive dog. She is the author of two highly popular books on this subject: “Click to Calm: Healing the Aggressive Dog” and “Teaching the Reactive Dog Class: Leading the Journey from Reactivity to Reliability.” Emma is a Faculty Member and Instructor of Karen Pryor Academy for Animal Training & Behavior as well as of the Karen Pryor ClickerExpo conferences. She gives “Click to Calm” seminars around the world, teaching others how to manage and rehabilitate reactive and aggressive dogs. She is a member of the Association of Pet Dog Trainers (APDT) and a Certified Dog Behavior Consultant (CDBC) of the International Association of Animal Behavior Consultants (IAABC). 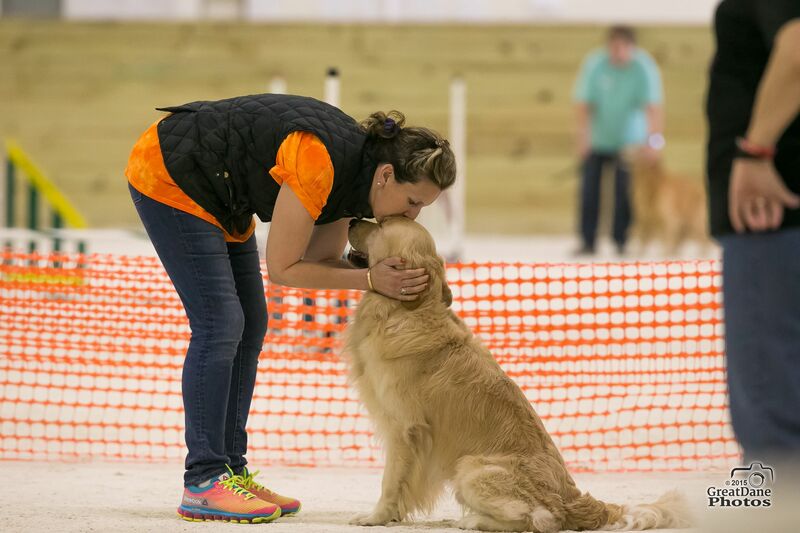 Emma holds a BA degree from the University of Massachusetts Lowell, and shares her life with her husband, Greg, and their four clicker-trained competition obedience/agility dogs—three Goldens, Lizzie-Taylor, Kayden-Blue, Austyn-Roque, and a Papillon, Wylie-Rae. I think that I will find myself owing a great deal of my training knowledge from the expertise and well-structured advice that Emma Parsons offers in relation to working with and healing aggressive dogs. I thought it had some good behavior recipes to affect change and things that an average person could easily implement, however emma parsons was way too happy to use luring to start a behavior, and I am not comfortable with that. I w1,000% recommend this book to anyone who has a dog, regardless of whether the dog is aggressive or shy or happy or calm. Forgot to add – as far as additional reading, both Control Unleashed and Fired Up, Frantic, and Freaked Out go into a lot of detail on excitement-based reactivity like this, so either one would be a great option for your situation if you want to read more. Thank you for sharing your article about Emma Parsons – Click to calm; Talking aggressive & reactive dogs.